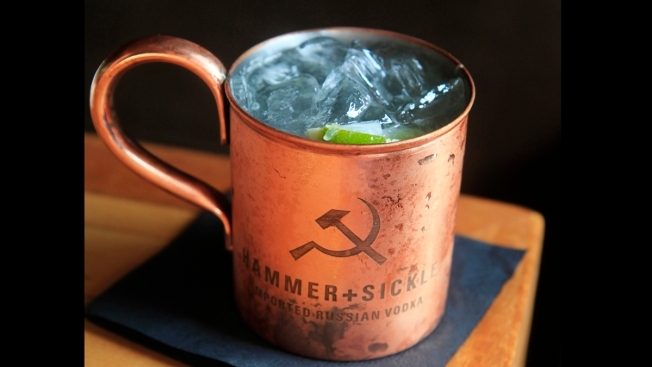 This July 1, 2014, file photo shows a Moscow Mule made with ginger beer, fresh-squeezed lime juice and Hammer + Sickle imported Russian vodka in a copper cup at Anneke Jans in Kittery, Me. The popular drink has attracted internet attention after Iowa state officials issued an advisory reminding restaurants and bars they may not serve acidic drinks, including the popular alcoholic beverage, in unlined copper mugs. Don't worry, Moscow Mule fans: Those solid copper mugs often used to serve the popular alcoholic drink probably aren't going to kill you. Contrary to reports last week that Iowa was banning copper mugs entirely, a state official said that restrictions apply only to restaurants and bars, who may not serve acidic liquids -- like the lime juice in Moscow Mules -- in unlined copper vessels. "It's not that if you drink a Moscow Mule from a copper cup, you're going to die," said David Werning, a spokesperson for the Iowa Department of Inspections and Appeals. Most commercially available copper mugs are lined with tin or stainless steel, making them safe to serve any beverage, including the popular cocktail's mix of vodka, ginger beer and lime. The controversy began after a routine inspection of the Hy-Vee Bar and Grille in Ankeny, Iowa, when restaurant inspectors found unlined copper mugs behind the bar, according to an inspection report provided to NBC. Because the mugs were tarnished and pitted, Werning said, the Iowa Alocholic Beverages Division issued an advisory July 28 to restaurants in the state, eventually drawing national attention. While the advisory tells business owners that that a state code "prohibits copper from coming into direct contact with foods that have a pH below 6.0," such as fruit juice, it lacks any kind of restriction on individual consumption at home. "The food code only governs licensed food establishments. I know for a fact in my own family there are some copper cups," Werning said. "What you want to do in your home kitchen or home bar is up to you." 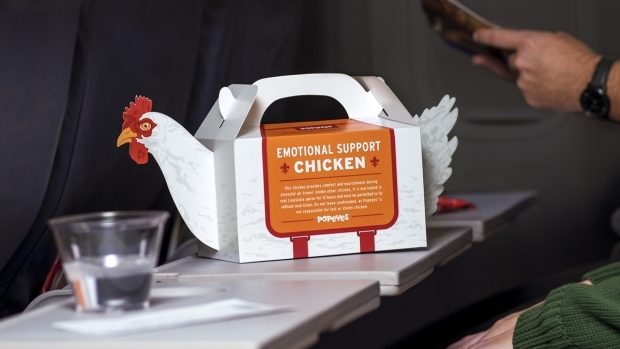 Iowa's state code follows a model code prepared by the Food & Drug Administration -- one that has generally been adopted in every other state, Werning said. An FDA spokesperson referred NBC to this code and declined to comment further. Werning added that he does not recommend that people consume Moscow Mules out of unlined copper mugs, given "the science behind the food code" and the beverage's 3.5 pH. For every kilogram of their body mass, someone would need at least 0.01 milligrams of copper in order to face a potential health risk, according to the Centers for Disease Control and Prevention. A 220-pound person, for example, would need to consume one milligram of copper to experience health effects. It's unclear how many many Moscow Mules it would take to ingest a significant amount of copper, or how long the drink would need to sit inside an unlined mug to actually leach the metal. Ingesting high levels of copper can cause nausea, vomiting and diarrhea, while very high doses can lead to death, according to the CDC.